The Bavaria was the name for the bigger engine version of what BMW internally called the New Six (E3 sedan, E9 coupe) for the US market. It was eventually replaced by the E23 7-series, but for a few years (from 1968-1977) it offered a large executive sedan setup with a focus on fun for the driver. 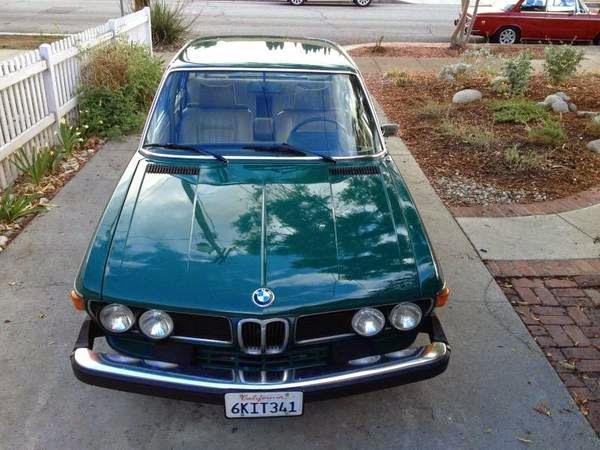 Find this 1974 BMW Bavaria 3.0 with E28 M30B34 Swap offered for $7,950 located in Atlanta, GA via craigslist. Tip from FuelTruck. The original M30 would have been carbureted, but this Bavaria has been given a new heart in the form of a M30B34 from an E28 535i. Forward motion is now provided by a fuel injected 3.4 liter inline-6 rated at 185 horsepower and mated to a 5-speed manual gearbox. Setzer is the man. Love it. Anonymous is probably really angry now. +1 or should that be +7? I just discovered The HeadCat. Awesome. I had one of these briefly with the intent of doing that same engine swap. I traded it to a guy (who I assume has the exact same goal I gave up on) for a busted 944 turbo. I should'a realized there was a reason he was eager to make that trade. Anybody got a good idea for a 944 turbo with spun main bearings? This Bav is much nicer than mine was, I really like the green/tan combo. Yep. I'd fix your 951 back to stock with a good used engine. 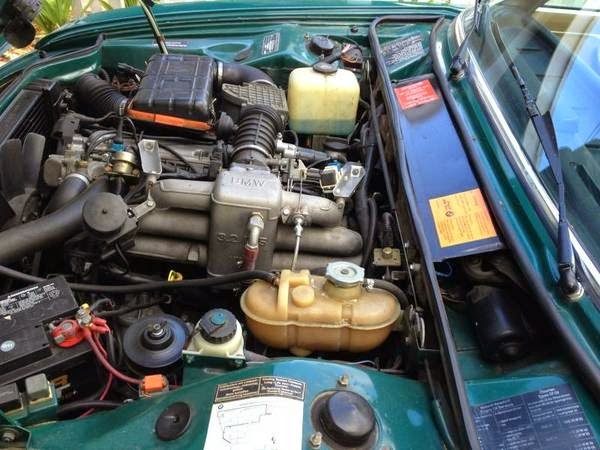 Don't know what they're going for, the last time I looked (admittedly quite awhile ago), between $2K-$3K for a used motor. Swap away if that's your druthers but I wouldn't vote for that. Call me crazy. Or get rid of it and let somebody else deal with it. But you'd end up with a great car if you just stick with the P-car motor and it'd still be worth some $$$. Swap in anything else and then you'd have to find another person who would such a thing. I and my 951 cronies (back when I had one) wouldn't be interested in a car like that but judging by what interests DTers there are folks out there that do. What year is it? '87. Seeing what nice ones are going for, I could easily make my money back and a bit of a profit if I put the proper engine in. It's a lot of damn work to get that engine in/out though. Makes BMW big 6 swaps seem easy by comparison. Guess it's going to sit till I get my other projects in order. True but there are certainly worse. 87 is a bit simpler than some of the newer ones. But for the life of me, I can't remember why. I'm sure you'll end up doing what makes the most sense for you. Best of luck and let us know how it goes! The 3.0/Bavaria was the first car I really, really WANTED. Okay, yeah, I liked Cobras and I liked GT350s and I liked Panteras more, but the '72 Bavaria brochure was pure pr0n. Still have it around here somewhere. Did nobody else giggle when they read it was in Poncey Highlands? Sounds like a made-up name for a snooty neighborhood.... not that I know anything about it. Oh, and on a semi-related note, I've driven a friend's M30B35-powered E12 530i, and that thing brought something out in me that would quickly get me in trouble. Pretty fun. I tried SO HARD to get my parents to buy an E12 when they came out. Not sure if it was a good thing or a bad thing that they didn't, as they ended up in a '78 Caprice that, while a bit cheaper, had a never-ending parade of little gotchas culminating in the engine having its cam lobes for lunch at 44K miles. I almost bought an '81 some years later, and probably should have, but went on to years of Saab and SHO ownership, shopped E34 M5s a couple times but never actually bought a 5er until we filled the driveway with E39s a few years later. Ah, I see the "other site" has finally tumbled to this gem.